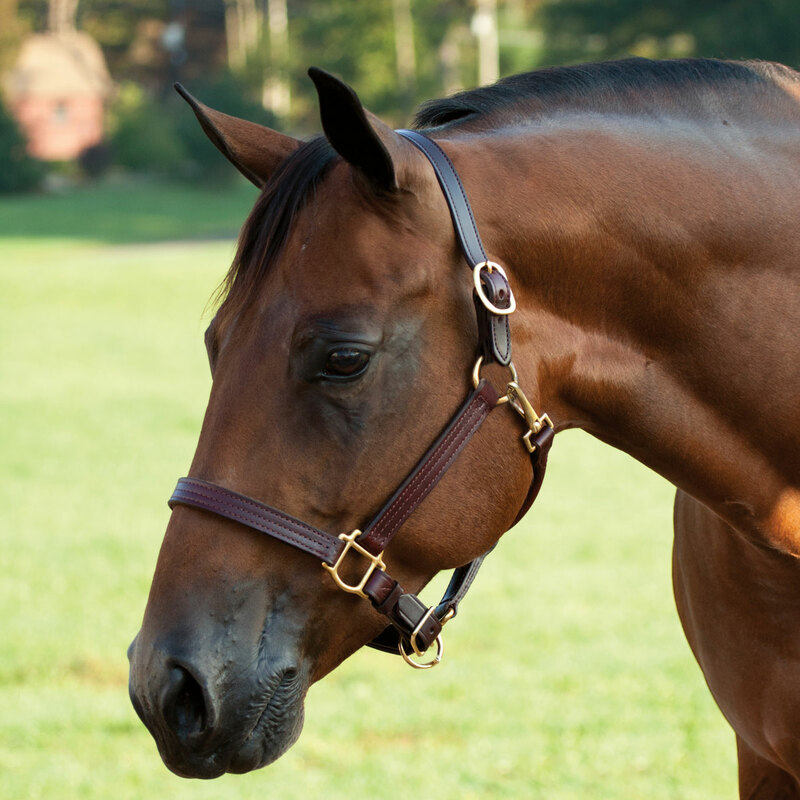 The SmartPak Triple Stitch Halter is a show-quality halter at an everyday-halter price. 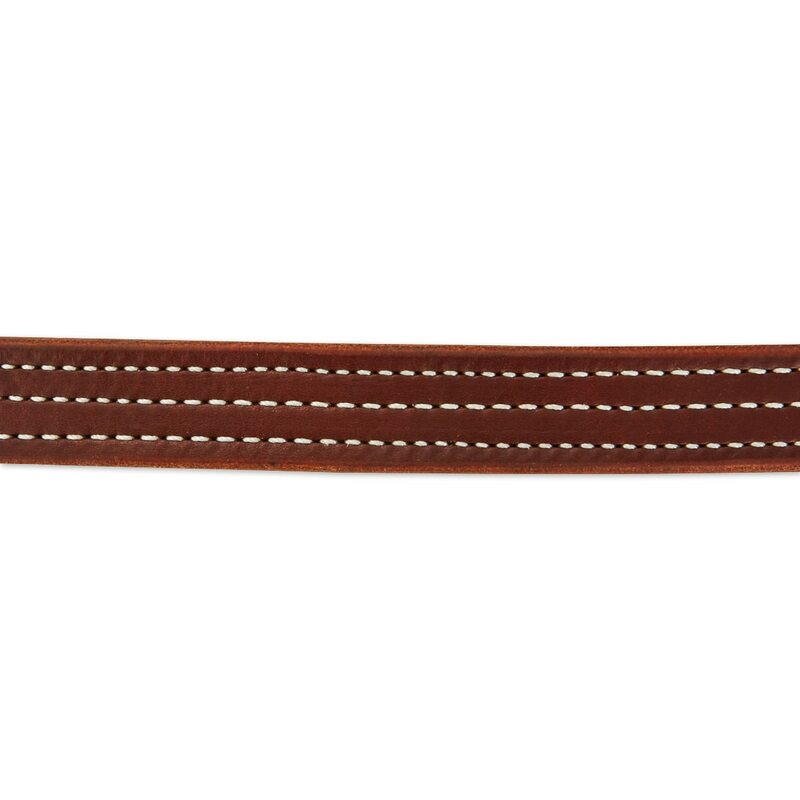 Each halter is handmade by skilled Amish craftsman of the highest quality leather. 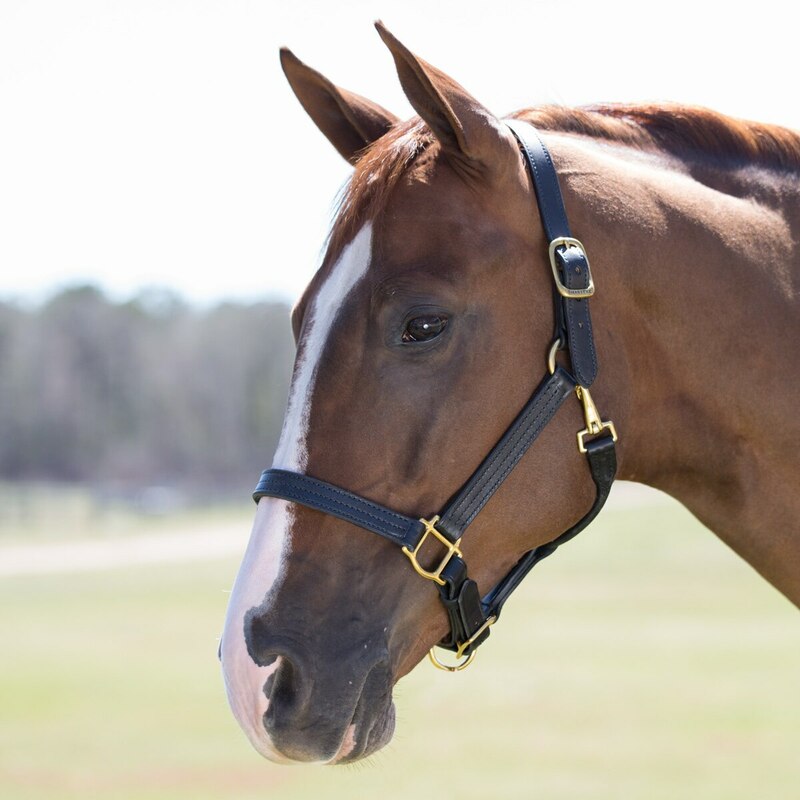 This halter features stylish triple stitching for a polished look and the rolled throat latch helps create an even more refined look. Additionally, the hardware is made from durable solid brass. 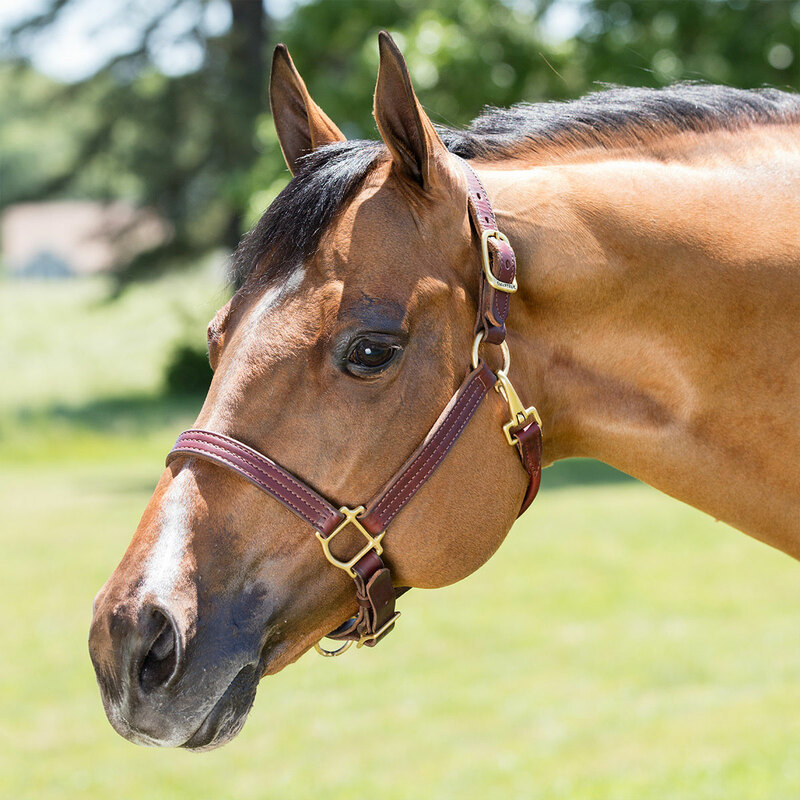 Plus, you’ll be able to give your horse a great fit with its adjustable noseband and double buckle crown. Last but not least, the throatlatch has an easy-to-use snap that makes taking it on and off a breeze. 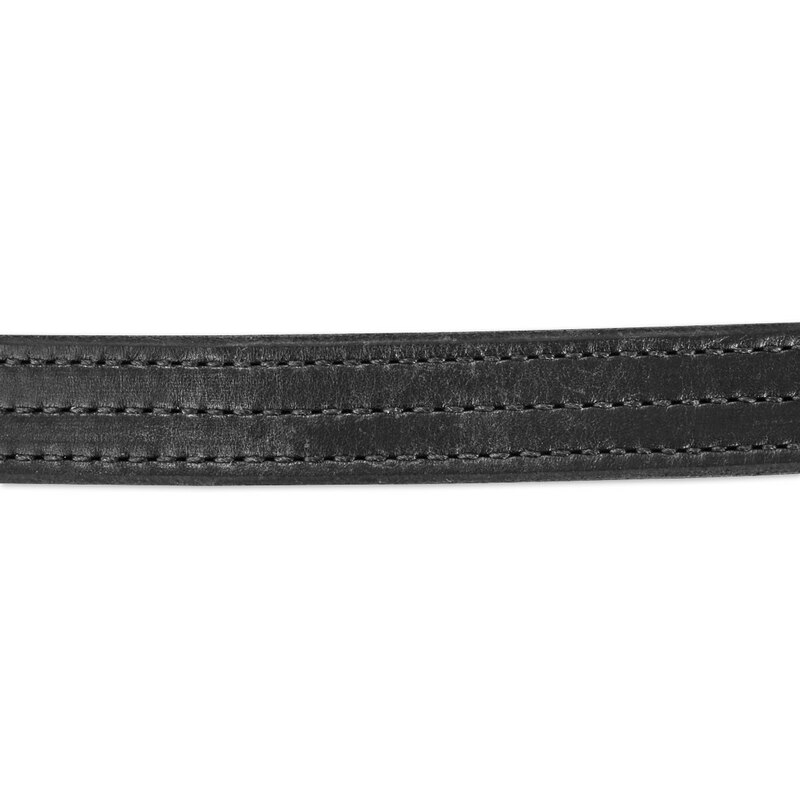 Leather Lead with Solid Brass Snap or Leather Lead with Brass Plated Chain! 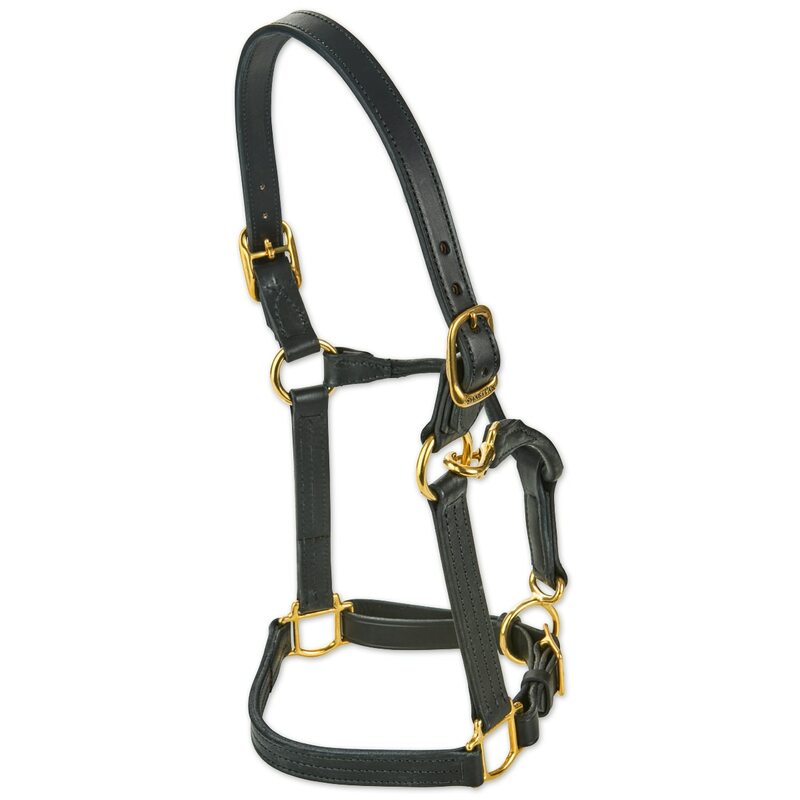 SmartPak Triple Stitch Halter is rated 4.7 out of 5 by 383. Rated 2 out of 5 by Vanessa from Beware the Havanna! I have the lighter chestnut color in this halter and love it! I bought the darker havanna color for shows and I am not happy. Took it out of the box and it was very oily. Went to a show this weekend and had it on my grey horse, it turned his face pink! He was discolored for the leather. Luckily, I had some green spot remover that worked. What the heck?!?! Otherwise, attractive and well made... but I can't use it. 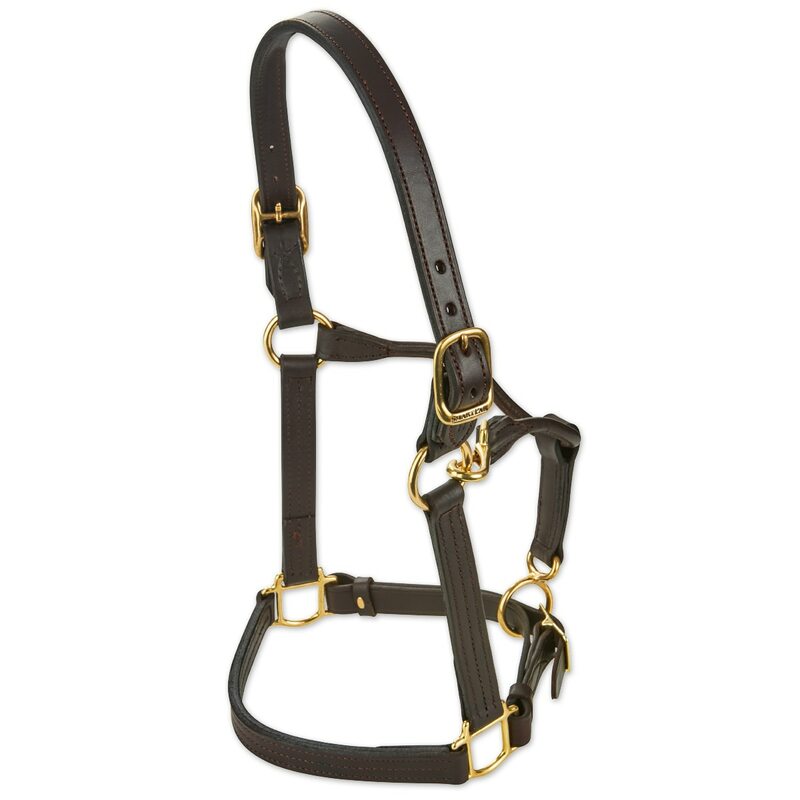 Rated 4 out of 5 by meredith from beautiful and adjustable but oily I received this halter as a Christmas present and absolutely love it. The leather is so soft and very flexible right out of the box. I received the horse size and was a bit worried it would be too large for my tiny headed quarter horse, but the halter is so adjustable it fits perfectly without looking like I had to tighten everything. Yes, it comes oily out of the box, but clean it twice with some leather soap and water without a white shirt on and you’ll have no problems at all!! The oil kept it so nice when shipping and gives it a nice color. Amazing halter for the price, you won’t be dissapointed! Rated 2 out of 5 by livvvy from Oily and stains everything! The halter arrived and was extremely oily and stains everything it touches with a pink/red color. Washed the halter with water and is slowly getting less oily. Spend more money on a better product. Rated 5 out of 5 by KCPACK from Loved it!! Great quality I bought this for my 3 year old Clydesdale. It did not disappoint! 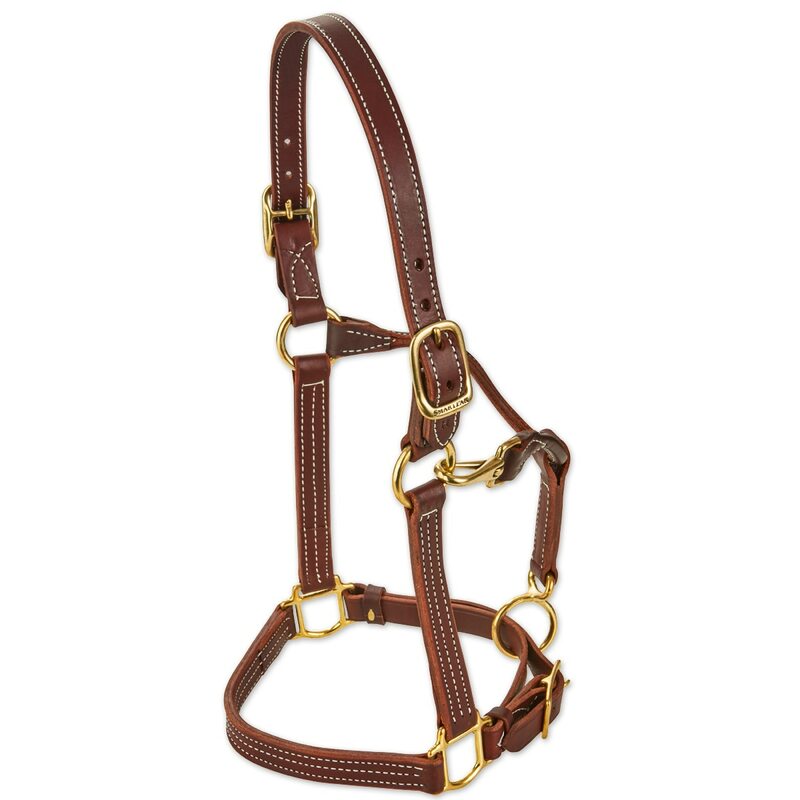 Rated 1 out of 5 by Alexis from Gorgeous halter— but beware I love this halter and have bought several of them. However, buyer beware on two fronts: 1. When my horse broke the crownpiece, I contacted Smartpak about purchasing a replacement. The rep said that they weren’t for sale and i’d have to buy a brand new halter. What? Isn’t that the whole point of the breakaway— so it can break if a horse freaks out and subsequently be replaced? Why would I spend $70 on a halter then? 2. DO NOT ENGRAVE THROUGH SMARTPAK. The engraving looks nice for awhile, but because it’s just a cheap laser onto the halter, and not actually engraved/etched into it, a few drops of water will smudge the writing and make it look terrible. This happened to my halter only weeks after I had it, and I never turn my horses out in their halters. 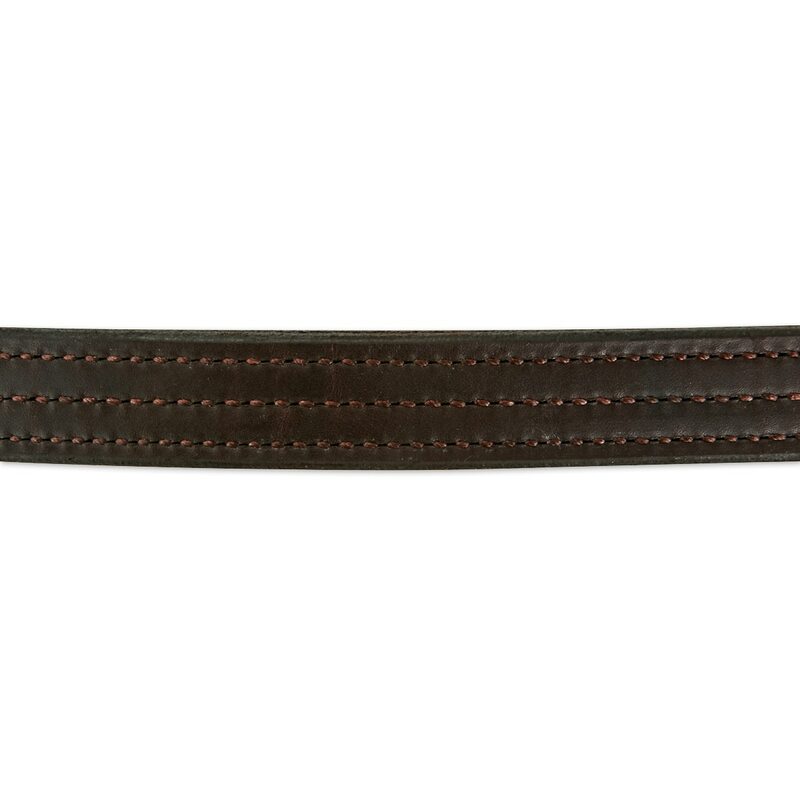 Rated 5 out of 5 by Springhope Farm from Just what I wanted Very nice leather and appears to be good quality stitching and hardware. Time will tell how durable it is. It did come "well oiled" so I've done a considerable amount of wiping to remove the excess oil. I can only rank it "good" quality since I have barely used it and can't speak to it's durability. Rated 4 out of 5 by Cherie from Nice thick leather! 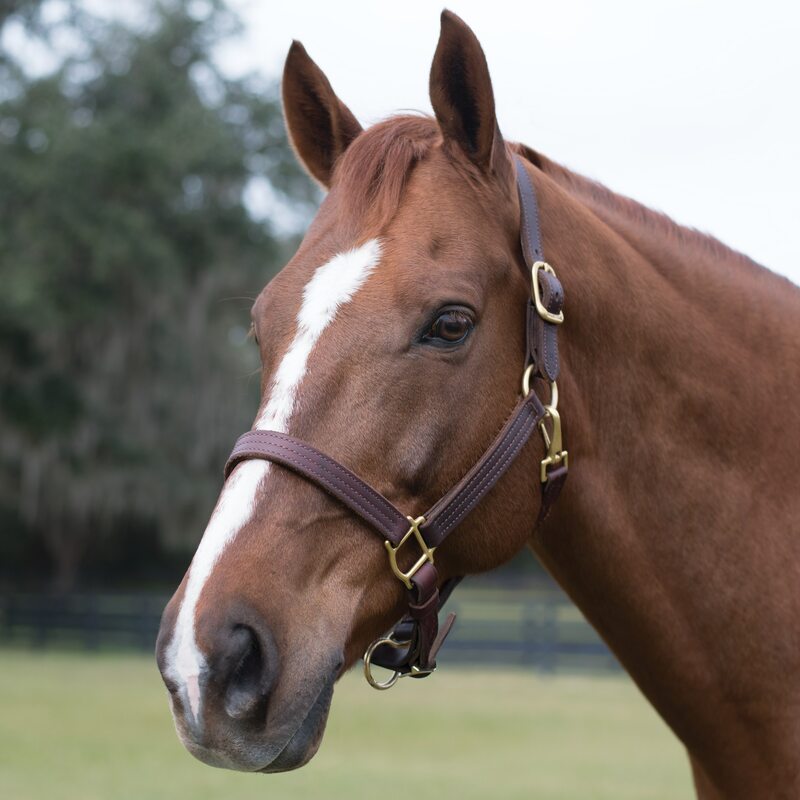 I bought this halter with an engraved nameplate to show my yearling in, it looks nice and is very adjustable to fit his head just right. The havana dye comes off on everything: my hands, clothing, etc. Luckily he is black. 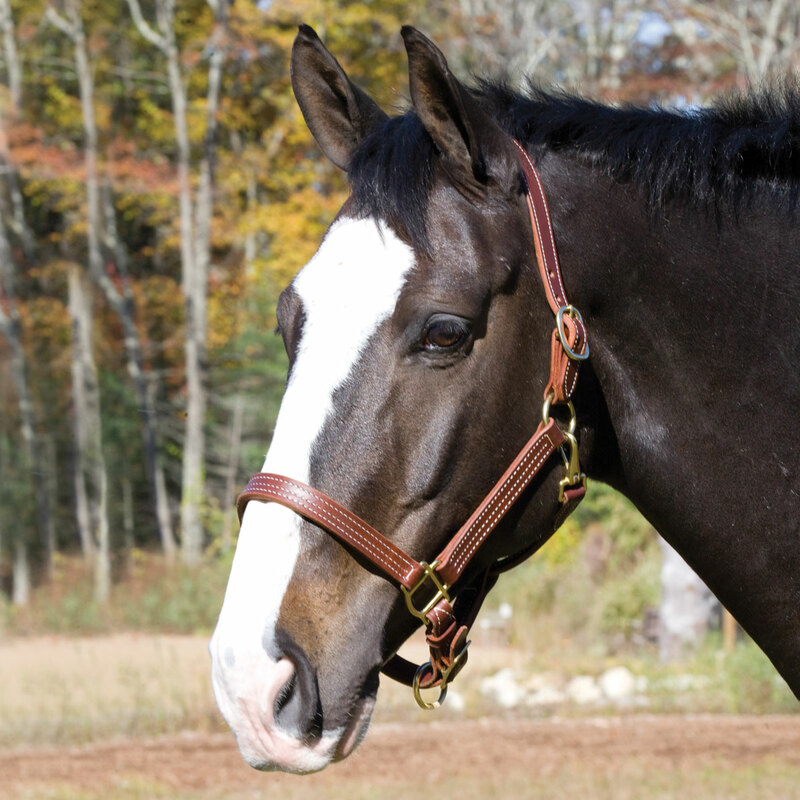 I'm not sure why I bought the same halter for my perlino gelding, it will certainly stain his light fur.